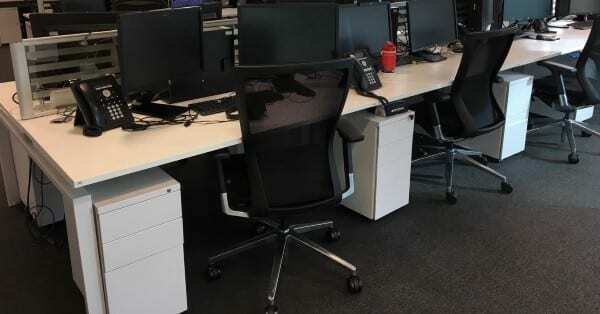 These slimline white pedestals come with 3 drawers, fit under your desk and are in very good condition. The filing drawer holds foolscap or A4 files. The used mobile pedestals can be matched up with any suitably sized desks and are available for immediately delivery.